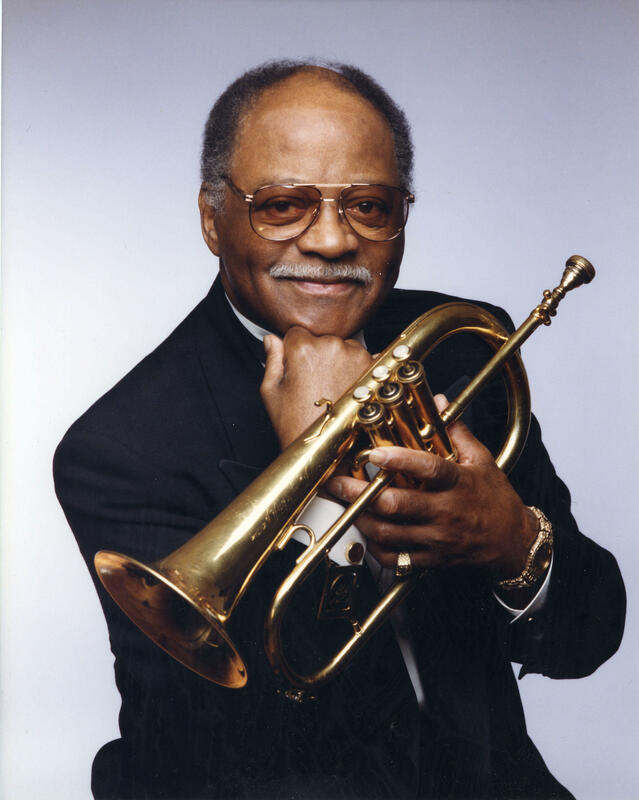 Legendary jazz trumpeter Clark Terry died on February 21 at the age of 94. Although being known for his career as a jazz musician, Terry also had a great passion for jazz education. While still working as a performer, Terry dedicated a lot of his time to teaching young people about jazz at colleges and universities. One of those universities was Southeast Missouri State University. Terry, a St. Louis native, came to Southeast on a few different occasions for jazz festivals and as a result of his contributions to music education, Southeast named a festival after him. That festival is now known as the Clark Terry/Phi Mu Alpha Jazz Festival and has been held annually at Southeast since 1998. Barry Bernhardt, director of bands at Florida International University and former director of bands at Southeast, first asked Terry to come to Southeast for a jazz festival and eventually became good friends with Terry. Bernhardt recalled what is was like having Terry come to Southeast. Robert Conger, professor of music for Southeast Missouri State University, recalls how Terry’s contribution to music education was unique. Terry contributed a lot of his time teaching and mentoring many different people in the music industry. According to Bernhardt, Terry was not only monumental to the jazz world, but he was also a great person to know. According to Conger, the jazz world has been greatly impacted by Terry’s passing. Terry’s jazz career spans more than 70 years. He has won numerous awards and has been honored by many for his contributions to music education.